Still hung over with the new batch of English Premier League posters? Well, we’ve got more good news for you. We have also replenished our inventories of movie posters, music posters, game posters, and a host of other miscellaneous posters! Asking Alexandria, and many more! 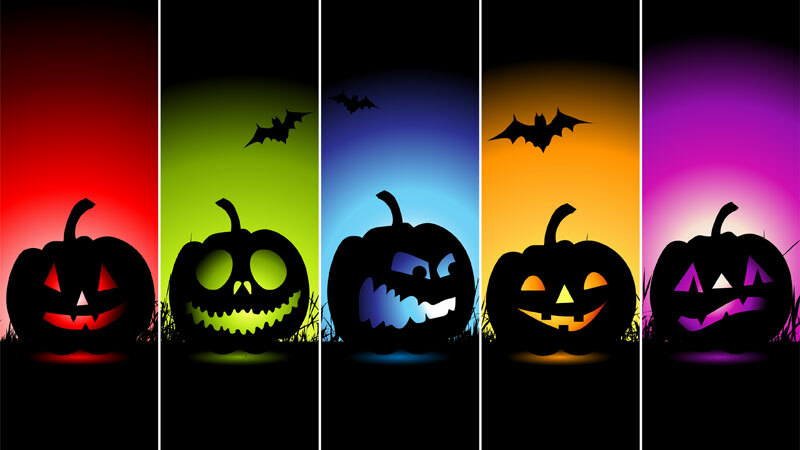 Aren’t you all getting excited yet? Because we’re excited already and we can’t wait to unveil these new posters to you! Come and get your posters while stocks last! Again, you can drop by our Posterific Store at Taylor’s University Lakeside campus or drop us a message on our Posterific Facebook page. We have some news for you! Good news, in fact! We recall that many of you have put down requests for several English Premier League and the Spanish La Liga posters of your choice. And so we did. We have replenished our inventory of EPL posters, pulling in superstar players from Manchester City, Chelsea, and Liverpool, inviting hotshots like Lionel Messi and Neymar from Barcelona, and the legends of Arsenal. We also have the club crests of the EPL big guns, as well as the stadiums where they host their matches. Fancy a poster of Manchester City, the 2013/2014 Barclay’s Premier League winners on your bedroom wall? Then what are you waiting for? Then come on over to our Posterific store at Taylor’s University Lakeside campus to flip through our poster racks. Or you can browse through our online poster album catalogue on our Posterific Facebook page and let us know which posters have caught your eye. So the only way we can improve is to move forward. And by moving forward, we need you. That’s right, you guys are our customers’ and we need your help! We want to thank you for choosing Posterific and buying posters from us. We also want to thank you for your feedback. With your feedback, we can do better and in doing so, we can provide better customer service to you! Because you made us feel special, we want to make you feel special too. Thank you for your feedback, and please, don’t stop giving us feedback. Click here to go to our Posterific review page and leave us a tidbit or two. Don’t be shy. We want to hear what you have got to say. It won’t take more than a minute, we promise! Happy poster-shopping, people! Three Cheers for John Lennon! Perhaps Mark David Chapman, the deranged fan who shot him, had just about too much love for his idol. Either that or when John Lennon said that, he hadn’t thought it would affect the world so much that it cost him his life. Singer-songwriter John Lennon was the brains behind The Beatles. In 1957, Lennon met Paul McCartney and invited him to join his music group. Back then, The Beatles had not yet made an appearance in the music scene. When they both formed a musical partnership, it was under a different name but it was the most successful songwriting partnership in the history of music. Founder of The Beatles: John Lennon. Photo by Librarising. John Winston Lennon was born in Liverpool during a German air raid in World War II. When he was 4 years old, his parents separated and he went to live with his Aunt Mimi. His father was a merchant seaman, and despite being mostly away at sea, this had not fueled the fatherly urge to see his son more often. He was not even present at his son’s birth and did not see much of his son during his years of growing up. His mother, Julia, remarried and made a point to see her son and Mimi more regularly. She taught him how to play the banjo and the piano, and purchased his first guitar! His mother played an important role during his childhood years, and he was understood to be devastated when she was hit by a car driven by an off-duty police officer in 1958. The Quarry Men was Lennon’s first band, an inspirational result of Elvis Presley’s explosion in the rock music scene. A year after Lennon invited McCartney to join the band, the latter introduced George Harrison to Lennon, and soon, Harrison and art college buddy Stuart Sutcliffe became members. In 1960, Pete Best became the drummer for their band. Buddy Holly’s ‘That’ll Be The Day‘ was the first recording they made. Apparently, it was Holly’s group, The Crickets who inspired Lennon’s band to change its name to The Beatles! In 1961, Brian Epstein became the manager of The Beatles and secured a record contract for the band with EMI, with Ringo Starr (Richard Starkey) as the new drummer, and George Martin as the producer. The band released their first single ‘Love Me Do‘ that hit the British charts at No. 17. Inspired by Roy Orbison, Lennon wrote the band’s follow-up single ‘Please Please Me‘, which topped the charts in Britain. The Beatles became the most popular band in Britain with mega-hit releases like ‘She Loves You‘ and ‘I Want To Hold Your Hand‘. In 1962, Lennon married Cynthia Powell, and had a son called Julian (named after Lennon’s mother). However, his hopes for a good marriage crumbled due to the huge success of his band, famously known as the Beatlemania. Four years later, they divorced. In 1967, he remarried to Japanese avant-garde artist Yoko Ono, whom he met at the Indica Gallery in 1966. The Beatles became the first British band to break into the big scene in US. Beatlemania had launched a “British Invasion” of rock bands which included the Rolling Stones and the Kinks. The Beatles returned to Britain for their first film titled ‘A Hard Day’s Night‘ (1964) and prepared for their first world tour. Their second film ‘Help!‘ (1965) paved the way for the honour bestowed upon by Queen Elizabeth II of England that they would be named a Member of the Order of the British Empire. In 1965, the band performed to 55,600 fans at New York’s Shea Stadium, a new record for largest concert audience in the history of music. That year, the band returned to England and recorded their breakthrough album ‘Rubber Soul’, notably remembered for extending beyond love songs and pop formulas which the band was previously well-known for. The Beatles took a break and returned to the studio to expand their experimental sound with a drug-influenced exotic instrumentation with lyrics and tape abstractions. The first sample was the single ‘Penny Lane/Strawberry Fields Forever‘ followed by the album ‘Sgt. Pepper’s Lonely Hearts Club Band‘ in 1967. The album was considered by many to be the greatest rock project in musical history. In 1969, John Lennon left The Beatles after the band had completed the recording for ‘Abbey Road‘. A year later, Lennon released his debut solo album ‘John Lennon / Plastic Ono Band’ which featured a raw and minimalist sound followed by “primal-scream” therapy. In 1971, Lennon released the most commercially successful and critically acclaimed track called ‘Imagine‘. The track took No. 3 on the Rolling Stone magazine’s “All-Time Best Songs” list. In 1973, he and Ono separated. Lennon went to Los Angeles and released hit albums, including ‘Mind Games‘ (1973), ‘Walls and Bridges‘ (1974), and ‘Rock and Roll‘ (1975). 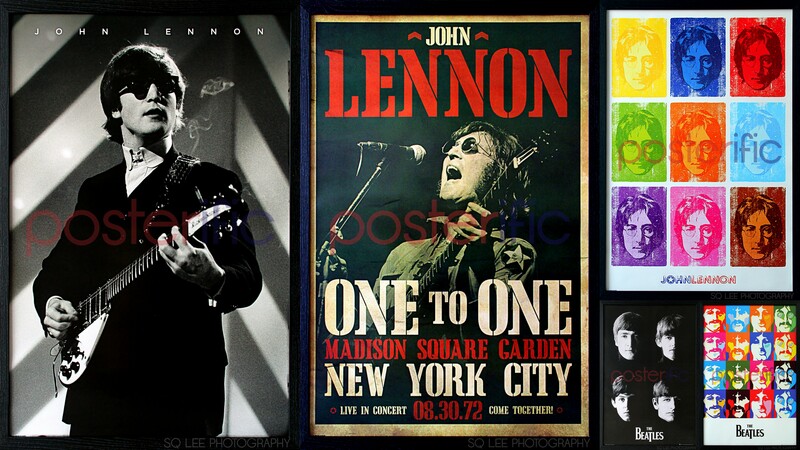 It was during this time that Lennon had collaborated with David Bowie and Elton John. A reconciliation took place in 1974 between Lennon and Ono, and were gifted with the birth of their only child, a son named Sean. It was then that Lennon decided to leave the music industry to focus on being a family man. In 1980, he returned to the music industry with the album ‘Double Fantasy’, featuring the hit single ‘(Just Like) Starting Over‘. Sadly, a few weeks after the release of the album, he was shot several times by a deranged fan, identified as Mark David Chapman. 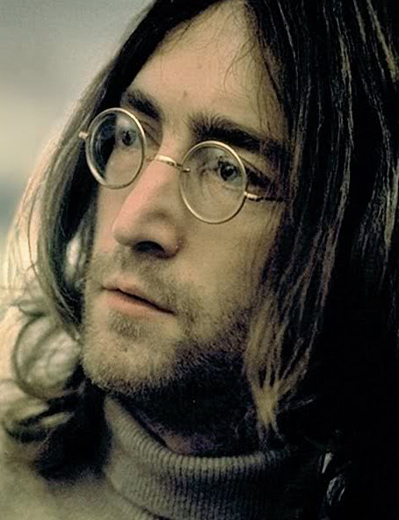 Lennon died at New York’s Roosevelt Hospital on December 8, 1980. He was 40 years old. His death left a profound impact on pop culture. Millions of fans worldwide mourned as record sales tipped the scales. His untimely death evoked deep sadness around the globe today, as he continued to be admired by new legions of fans. In 1987, he was posthumously inducted into the Songwriters Hall of Fame, and the Rock and Roll Hall of Fame in 1994. Show a burst of love and support for the British superstar and The Beatles by getting their posters below (we have three of John Lennon himself, and two of The Beatles) at our physical store at Taylor’s University Lakeside Campus or place your order with us on our official Posterific Facebook page! After a grand two weeks of competition and fighting for first place, it is time for the Asian Games 2014 to come to a flourishing end. It has been a tough battle, with top athletes from all 45 participating nations strutting their stuff and showing who’s boss in each of the event category of sports that were hosted and organized in Incheon, South Korea. The closing ceremony will be held on this Saturday, October 4, 2014, at 5:00pm (South Korean time), 1:00am (Sunday, October 5, 2014, Malaysian time). South Korean girl group to perform in the Asian Games 2014 closing ceremony. Photo by Soompi. There will be three main parts of the closing ceremony: the Welcoming Performance, Part One: The Countdown, Part Two: Remembering the Games with special feature films, and the Final Part: A Congratulatory Performance. During the Welcoming Performance, the Asian Games 2014 staff and volunteers will welcome the visitors and provide them with seat information while the Official Mascots and comedians will provide entertainment to the spectators. During the closing ceremony, famous K-pop stars such as CN Blue, Big Bang, and SISTAR will be performing live for the musical ears of the spectators. Part One kicks off with the countdown, followed by the Korean Cultural Performances, such as the National Dance Company of Korea, Gugak Center Dance Troupe and Kukkiwon. Part Two will begin with the host nation’s flag brought forward to the venue of the closing ceremony. A special feature film will be aired for the spectators, to remember when the Games began on September 19 until the very end. Also, the Samsung MVP Award will be presented during the Part Two of the closing ceremony to the memorable and spectacular athletes who shone during the Games. The Final Part of the closing ceremony is the Congratulatory Performance where the next host country for the Asian Games 2018 will be presented. Indonesia has won the rights to host the next Games so their flag will be brought forward into the venue. The Extinguishing of the Flame will be conducted at the end of the closing ceremony to close the celebration of diversity and sports throughout Asia. Sailing: 1 gold medal by Ahmad Syukri Abdul Aziz and Mohamad Faizal Norizan (two-person dinghy 420 category). The rest of the medals are 14 silver and 14 bronze. Chee Wei’s gold medal is Malaysia’s seventh in karate at the Asian Games since 1994 after emulating the feats of R. Puvaneswaran (two), C. Muralitharan, R. Muniandy, S. Premila and Ku Jin Keat (Chee Wei’s master who ended Japan’s dominance in men’s kata in 2010). Karate is now on par with badminton as Malaysia’s joint-fourth highest gold medal contributor at the Asian Games. Nicol David has worked hard to impress the nation and her supporters in the Asian Games 2014. She was selected as the flag bearer for the country, won two gold medals in squash, and now being nominated for the prestigious Samsung Most Valuable Player award. She is the first ever Malaysian to be awarded the nomination for the award. Now it remains to be seen whether she will lift the award during the closing ceremony. We certainly hope she does, as it looks to be her last Asiad now that the squash No.1 player has already hit her 30s. An advocate for peace, independence, and for the human rights of Indians, Mahatma Gandhi was always prepared to fight for these three things. Even if it meant using the method of resistance through mass non-violent civil disobedience. Gandhi was not a fan of violence, nor was he a violent man. He was the primary leader of India’s independence movement as well as the architect and pioneer of Satyagraha, a form of civil disobedience that would influence the world. Mahatma Gandhi: A Man of India. Photo by Biography.com. Mahatma Gandhi, born as Mohandas Karamchand Gandhi, had studied law in England before travelling to South Africa in 1893 to fight for the rights of Indians there. Around 1914-1915, Gandhi returned to India and was given the titles ‘Father of the Nation’ and leader of Indian nationalism in the country, then ruled by the British. With this in mind, he became the leader of India’s independence movement and organized boycotts against British institutions in peaceful forms of civil disobedience. This form of resistance through mass non-violent civil disobedience is known as Satyagraha, which he was a pioneer of, and with this, he became one of the major political and spiritual leaders of his time. Today, Satyagraha remains one of the most potent and worldwide known philosophies in freedom struggles. In 1914, when Gandhi returned to India, he became the leader of the Indian National Congress, advocating a policy of non-violence to achieve independence for his country. His goal was to provide assistance to poor farmers and labourers to protest oppressive taxation and discrimination. He also struggled to alleviate poverty, liberate women, and put an end to caste discrimination with the objective of self-ruling for India. As a result of his strong contention following his civil disobedience campaign, Gandhi was jailed for conspiracy from 1922 to 1924. In 1930, Gandhi led a march to the sea and collect salt as a symbolic defiance of government monopoly. After his release from prison in 1931, he attended the London Round Table Conference on the constitutional reformation for India. In 1946, he negotiated with the Cabinet Mission and recommended the new constitutional structure for India. Once India received its independence in 1947, Mahatma Gandhi tried to put a stop to the Hindu-Muslim conflict in Bengal. This resulted in his assassination in New Delhi at the hands of a Hindu fanatic by the name of Nathuram Godse. 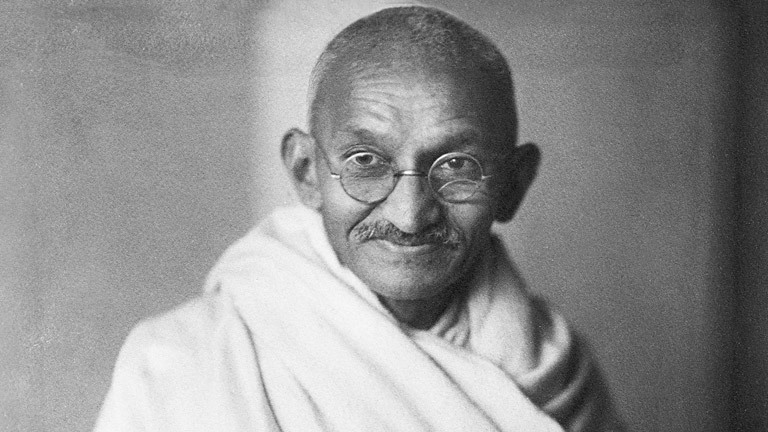 Even after the death of Mahatma Gandhi, his commitment to non-violence and his belief in a life of simplicity and devotion (making his own clothes, following a vegetarian diet, and fasting for self-purification as well as a means of protest) have become a beacon of hope for the oppressed and marginalized people throughout the world. 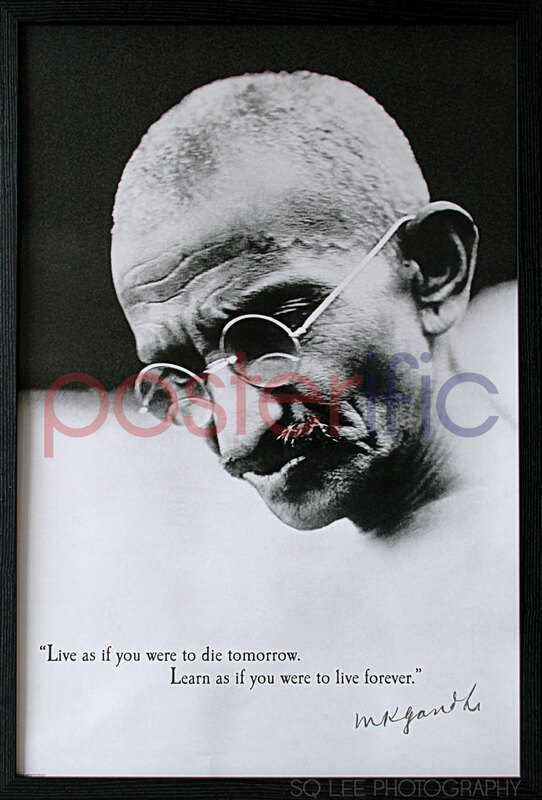 Mahatma Gandhi’s birthday which falls today on October 2 is now a national holiday in India. It is a widely celebrated event as well as one that is commemorated by the United Nations as the International Day of Non-Violence. Happy Birthday, Gandhi, and Happy International Day of Non-Violence to everyone! Let us enjoy the peace for just one day, love our neighbours the way we would love ourselves, and make love and peace, not war. Support Gandhi and pray with him in our hearts by getting your posters at our physical store at Taylor’s University Lakeside campus or purchase one via our Facebook page!